The retail and shopping industry throughout Gulf Shores, AL has much to offer. 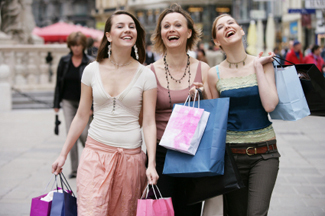 You will find that there are plentiful options for shopping throughout the community. Filled with many unique boutiques aimed at residents and visitors to the area alike, many shops target the beach and golf activities that the Gulf Shores region is best known for. The following is a small listing of the diverse retail and shopping centers you will find throughout Gulf Shores, AL. Animals and Pet Supplies - Shops that specialize in pet purchases and supplies. Appliances - Appliance shops that offer all types of household appliance, replacement parts and services. Five T's Appliance & Refrigeration - 217 E 23rd Avenue. - Children's Clothing - Boutiques that offer clothing for children in modern styles. Charity and Thrift Shops - Secondhand shops that offer used clothing and household goods at affordable prices. Fish and Seafood - there are many options when shopping for seafood throughout the Gulf Shores community. Most of the products that can be purchased from these various retailers have been caught fresh in local waters. Flea Markets - The Gulf Shores area features a large outdoor flea market that is located along the beach. You can sign up for space to sell your products by visiting the Beach Bazaar Office. You can also contact this office for information concerning hours of operation. Grocers and Supermarkets - the Gulf Shores area has many different locally owned grocery stores and larger big box supermarkets. Signs and Interior Decor - Shops including Custom Neon selling cheap home decor, wall art, lamps and neon light signs. Health Food Shops - Shops that offer nutrition based vitamins, care products, and natural foods. Jewelers - Shops that specialize in various types of fine jewelry and jewelry making supplies. Lighting - Stores that specialize in lighting for the home. Paint, Wallpaper, and Wall Coverings - Interior design shops that sell products for decorating the home. Party Supplies - Shops that specialize in party supplies, weddings, and other events taking place throughout Gulf Shores. Shoes - Specialty shoe shops throughout the community. Clothing and Accessories - Shops including high end fashion boutiques, specialty clothing stores, and shopping centers focused on diverse fashion styles. Sporting Goods - Shops that specialize in products for the active lifestyle. These shops are ideal for purchasing clothing or accessories for the various beach and golf activities available in the Gulf Shores area. Whatever type of retail or shopping center you are seeking you are sure to find it available in the Gulf Shores, AL community. The Tanger Outlet Mall has many specialty and big name retail shops available to meet the needs of residents and visitors to the area alike.